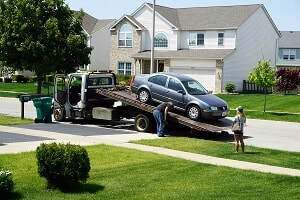 Nashville Tow Truck Service is a locally owned and operated full-service towing company. We pride ourselves on offering fast, friendly, professional, affordable towing service to our brothers and sisters in the Nashville, TN area. Whether you need roadside assistance, assistance with accident vehicle recovery, flatbed towing, heavy duty towing, or motorcycle towing, we’d love to help you however we can. We truly enjoy making people happy and helping people to have peace of mind, whether or not those people are our customers. We go the extra mile to serve our customers well. We run our company with the philosophy that serving our customers, serving our team members, and serving our community are the secrets to business success, and to leading a happy, fulfilling life. We know that you have many choices when you’re considering which of the many towing companies in Nashville you’ll choose. We hope that you choose us so we can provide you such great service that you’ll always want to work with us in the future.